I’m only posting this because I foolishly said I would. I don’t mind acting silly online, but looking clueless in front of millions (okay, hundreds) of people is not my idea of fun. However, it’s worth it if I can keep one other person from dealing with the frustration of the slow-moving Kindle. Okay. I’m back. I’ve only had my Kindle since August, when I received it as a birthday gift. So I was really frustrated when the battery would only last two or three days, even with the wi-fi/3G off. I also couldn’t do searches. Whether it was a search inside one book or a search through the whole library, it would lock up the Kindle for… however long I let it take. It wasn’t exactly frozen, because the little circle was spinning, showing that it was thinking. It would often take a long time to even put a bookmark in place. The frustration took a lot of the enjoyment out of using my long-awaited Kindle. I asked others and I searched the Kindle Help, but it didn’t occur to me to search online forums. Which is odd because half of my life is spent online. I’m not even sure exactly what I did wrong, but I do know it was my error(s), and I do have some ideas about what I did. When my husband mentioned to my stepson what I was dealing with, Danny did a few searches and found that when the battery runs low quickly, it’s usually because the Kindle is trying to index the books/files. So, either I had loaded books on and turned it off before it was finished indexing or I had loaded a corrupt file at some point, which was not able to be indexed. So the Kindle is running constantly trying to do its job. 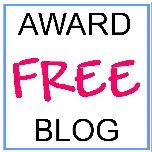 (If you’re an author who sent me a file, don’t panic. I know for sure it wasn’t any of those because this happened way before I started getting them.) Well, that was awesome because the indexing issue would explain both the battery problem and the never-ending searches. There was a bigger problem, though. When I had first started dreaming about a Kindle back in April or May, I started “buying” the some of the free books on Amazon. There are several apps for Kindle so you can read books on many different devices, including your PC. I did read a few on my PC, but I can’t do that for very long stretches. Anyway, by the time I actually got my Kindle, I had almost 1,500 books in my account. I read a wide variety of books, so I probably had accumulated more than a sane another person would have. No, I won’t read all of them this week, but I will read them eventually. It’s like carrying my own library around with me. I have them divided by genres, and even have the short stories in a group by themselves, so if I just have a few minutes, I can pull up one of those. But I digress. (Does Klout have a category for “Rambling”? I could totally be influential in rambling.) It’s possible that when I loaded the books from my account to my Kindle, I didn’t give it long enough to get itself together before I turned it off. Or maybe I just loaded too many at a time and it didn’t get one book finished before 100 more came in behind it. I don’t know for sure. It could also have been that the few books I’d gotten from Smashwords were loaded wrong. (By me. Not problems with the files.) Because I had no way of knowing exactly what I had done, or which book(s) caused the problem, I had to remove 2,400 books from my Kindle. One by one. 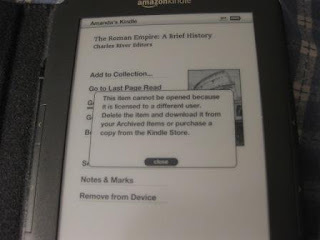 Because there is no “Remove all” on the Kindle. 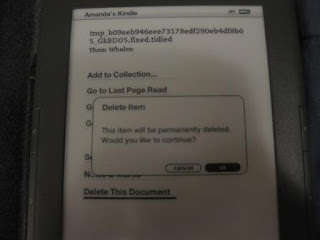 Yes, I spent three whole days removing books from my Kindle. I had oodles of these. Some (but not all) of the books I had before getting the Kindle displayed this message. Don’t know if this was a cause or an effect of the problem. ﻿﻿And, yes, I am aware that if I plug the Kindle into my computer it’s like another drive. However, I didn’t know which files were safe to delete that way. Might have been able to find that information online, but for some reason, that didn’t occur to me at the time. ﻿﻿Now, my Kindle works perfectly. I’m slowing loading books back onto it. Actually, the first time, I didn’t have any choice. I plugged it in and the books loaded automatically. Now, I can load them one by one. Previously, I didn’t have many of them in categories because I would have to actually go onto Amazon and look at the book (remember these were books I had purchased weeks or months before) to see what category to put it in. I hadn’t taken the time to do that. I had too many other things that were more important. Considering I ended up removing all of them, I’m glad for that now. 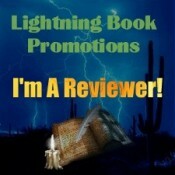 Now I have all my categories and my search works, so it’s much easier to find specific books. So, that’s my grand and glorious story about how I screwed up my Kindle. I would say don’t do what I did, but I’m not sure exactly which part of what I did was actually the problem. So just go read a book.